We have a loose tooth! I didn’t think this day would ever come (he’s 7 years old!) 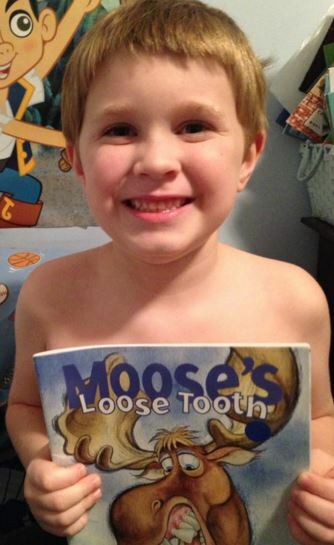 I got the book Moose’s Loose Tooth for a quarter at the library’s book sale. I’ve been saving it for this occasion! It’s a silly little book but he loves it. We’ve read it two nights in a row now.